911 Pest Defense - The Best in Pest – Not Just a Slogan. The Best in Pest – Not Just a Slogan. So what sets 911 Pest Defense apart from the other dozens of pest control providers in the Phoenix area? I do, I’m the owner – Garry Young. 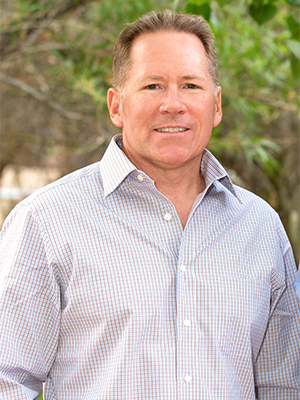 I started the company over 7 years ago with one goal in mind – to create the absolute best pest control company in the Valley of the Sun – not the largest, just the best! The “EMT” – Exceptional Multi-level Treatment methods that I’ve perfected over the years is exclusive to 911 Pest Defense. 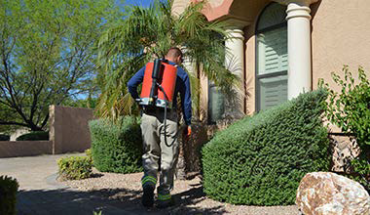 The highest quality products combined with the EMT methods used, provide our residential and commercials customers with the Valley’s absolute best pest treatments – period. As the owner, I personally hire and train every Pest Technician employed by 911 Pest Defense. Our 90-day training program is extensive and requires that each technician thoroughly know and properly administer our 6-step “EMT” program on each and every property. All Pest Technicians are state licensed, drug tested and background checked. We start by listening closely to our customers, regarding any pest issues that they may be having. We carefully inspect and then take the time needed to perform our EMT service. We spend an average of 48 minutes treating residential homes and typically treat no more than 8 homes per day. We never over schedule our Pest Technicians and never allow any quick ‘Splash & Dash’ treatments. One true measurement of a pest control company’s effectiveness is its’ “call back” rate. Unsatisfied customers will “call back” their pest control provider when they’re seeing pests shortly after their pest treatment was completed. Nationally, the average call back rate is close to 18%, our call back rate is under 2%. As owner, I hate call backs! It means that we have an unhappy client plus the additional cost of having the Pest Technician do the retreatment. That’s why we do the job right – the first time, every time. We inspect for easy pest access points in and around the property. Even the most well treated properties will have some pest issues if the home isn’t properly sealed. We will address common problem areas such as: doorsills, weather stripping, missing or warped trim pieces, window screens, holes in roof eaves or cracks in patio ceilings, etc. 911 Pest Defense is on call 24/7 for urgent issues such as: bee removal, rattlesnake removal or ant invasions. Our phone line is answered 24 hours a day and we respond quickly should the need arise. In short, when you hire 911 Pest Defense you can rest assured that you have the Valley’s absolute best pest control provider taking care of your home and property. You won’t be required to sign a contract of any sort, customers stay with us because of exceptional treatments and results. Thank you.